Those afraid to so much as set a toe in the ocean for fear of sharks are often told that far more people die annually from reactions to stings from insects than are claimed by the bite of Jaws. Indeed, the average number of fatalities worldwide per year between 2001 and 2010 from unprovoked shark attacks was 4.4, according to the Florida Program for Shark Research at the Florida Museum of Natural History. Conversely, between 1979 and 1990 there were 718 venomous deaths – mostly from bees and wasps – in the United States alone, according to the World Health Organization. That’s nearly 60 deaths annually in that period, according to the Toledo Blade. Yet, as the Blade pointed out, no one talks about death, or potential death, from the sting of bees, hornets or even fire ants, all of which can bring on anaphylactic shock for those with allergies to insect venom. And while shark attacks can occur just about anywhere in the coastal United States, California seems to get its fair share of publicity as a hotspot for such incidents. 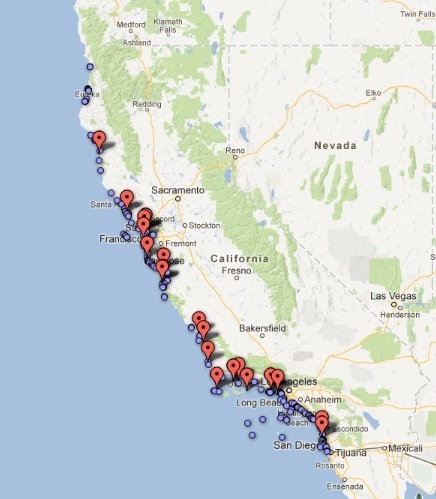 But as the above map shows, there have been relatively few shark attacks in California over the past 160-plus years, particularly when one considers the millions of people who flock to the Golden State’s beaches each year to swim, surf, snorkel and whatnot in its waters. Book reviews, when done well, can provide useful history lessons in and of themselves. Take The Economist’s review of Coolidge, Amity Shlaes’ new biography of the underappreciated 30th US president. “Mr. Coolidge’s hallmark was distrust of government. He saw it as an entity that uses ‘despotic exactions’ (taxes) that sap individual initiative and prosperity across the board …” according to publication. 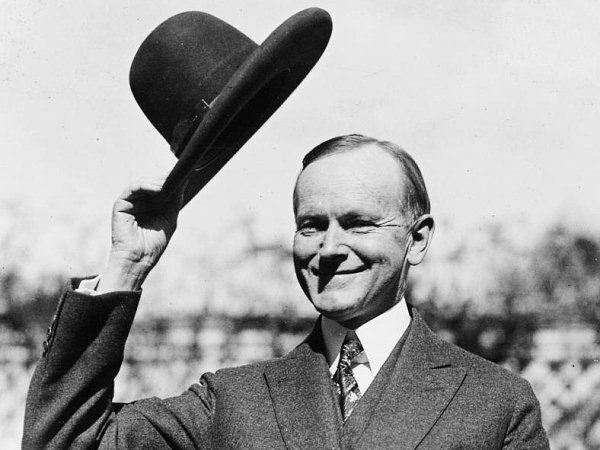 The Economist is not noted for being a publication of a particularly libertarian bent by any means, but it recognizes Coolidge’s achievements during his five-and-a-half years as president, during which American debt fell by one-third, the tax rate by half and unemployment dropped precipitously. It’s unfortunate that more Americans haven’t taken note of Coolidge’s accomplishments. While no means perfect, Coolidge offers an interesting counterbalance to FDR and his New Deal approach. We’ve all struggled with the annual Father’s Day conundrum: What to get for the man who’s hard to shop for? Another tie? Aftershave? A video of the NHL’s greatest fights? How about a Nobel Prize? 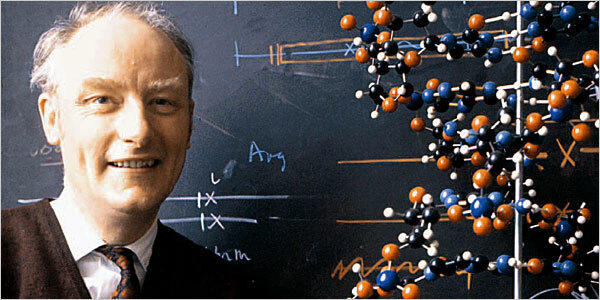 The Nobel Prize awarded to Francis Crick in 1962 for his work in discovering the structure of DNA is being auctioned by his family, along with one of his lab coats, his books and other memorabilia. It is believed to be the first Nobel Prize put up for auction in more than 70 years and the opening bid is set for $250,000, according to Heritage Auctions. Their discovery played a crucial role in deciphering DNA’s double helix, according to Live Science. Spanish maritime experts plan to reconstruct a 16th-century Basque whaling galleon, creating a replica of the oldest shipwreck ever found in Canada. The 90-foot, three-masted San Juan sank in Red Bay in Labrador 450 years ago, just offshore of a 1560s-era whaling station in the Strait of Belle Isle. 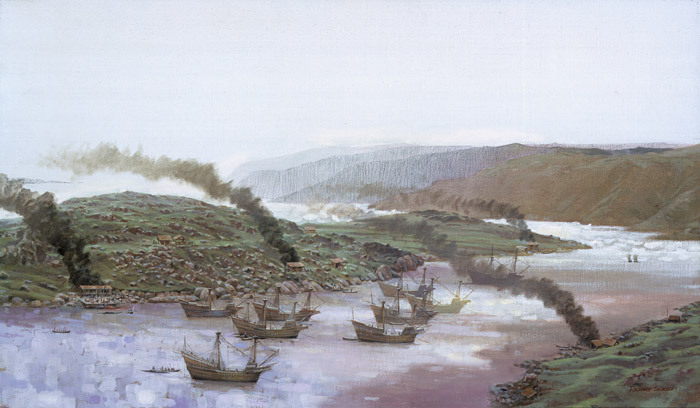 The ship was part of a fleet that brought millions of barrels of whale oil to Europe, a treasure every bit as valuable at the time as the gold taken by Spanish conquistadors from more southerly parts of the Americas, according to Postmedia News. Now plans are in place for the San Juan to be resurrected by a Spanish team which is seeking to construct a full-scale, seaworthy model of the original vessel. Archaeologist Robert Grenier discovered the wreckage in 1978 and said the reconstruction project will be one of the world’s first, according to the CBC. A glazed plate that had sat in a make-shift frame hidden behind a door in an English cottage for years was recently discovered to be worth far more than its owner knew. 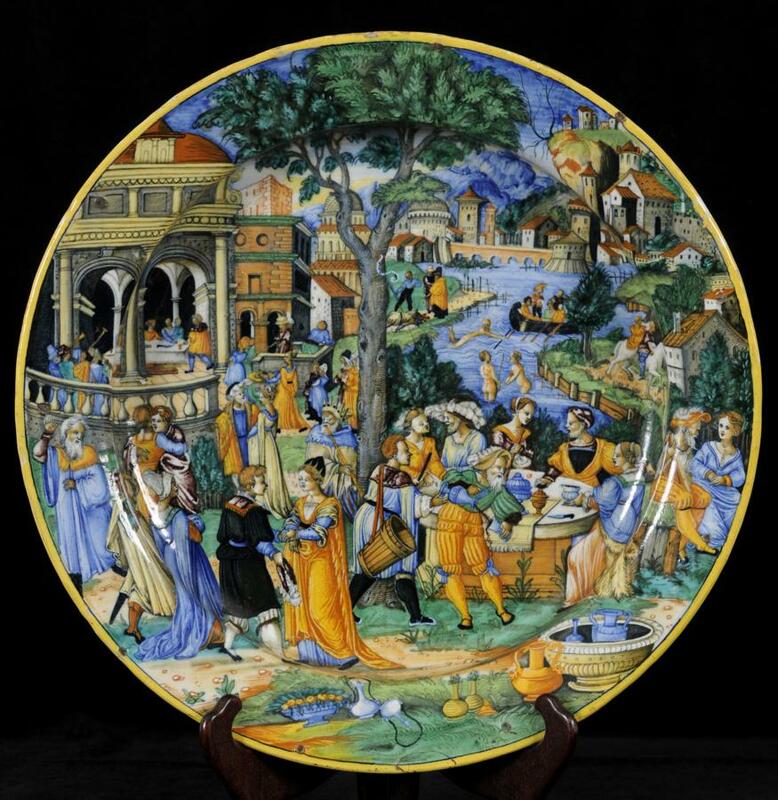 The 16.5 inch Italian maiolica plate was “uncovered” by an auctioneer who been asked to assess some items in the unidentified woman’s home in Dorset, England. Only about two inches of it were visible when appraiser Richard Bromell caught a glimpse of the plate behind a door. “It had been on the wall for a number of years and you couldn’t really see it but it was hugely exciting …” he told the BBC. When put up for sale by Charterhouse Auctioneers on Feb. 14, the plate brought $880,000, despite having a small chip. Maiolica is Italian-style tin-glazed pottery dating from the Renaissance. It is decorated in bright colors and often depicts historical and legendary scenes. 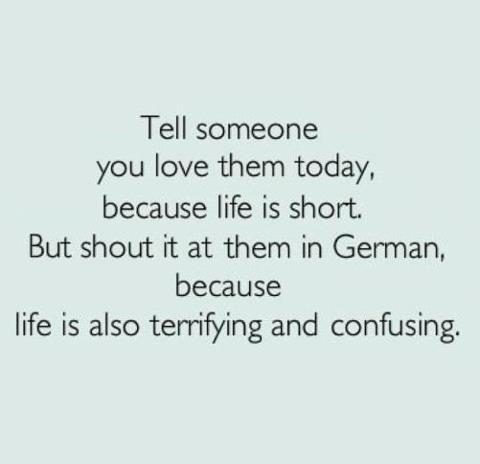 Ich Liebe jemand! Ich Liebe jemand! Yup, we’re mailing it in today. No history, no cotton, no two-headed snakes. You get what you pay for. 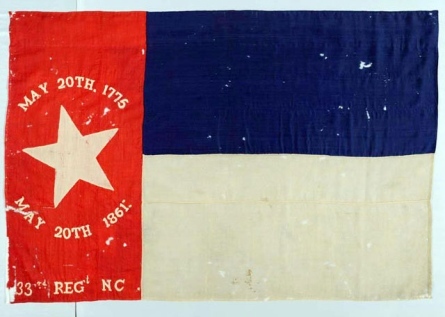 Efforts have begun to conserve a North Carolina state flag captured by Union forces during the Battle of New Bern. The banner was carried by the 33rd North Carolina State Troops during the March 14, 1862, battle at New Bern, NC. The encounter marked one of Federal leader Ambrose Burnside’s few highlights during the war, when his troops overcame an undermanned Confederate position and captured what was a key supply point. New Bern would remain under Yankee control for the remainder of the war. The conservation of the 33rd North Carolina regimental flag is the latest project of the Society for the Historical Preservation of the 26th Regiment North Carolina Troops, the largest group of War Between the States re-enactors in the Tar Heel State. The 26th Regiment is working with the North Carolina Museum of History in Raleigh to conserve the 150-year-old standard; the effort will cost an estimated $7,500 to $10,000. The 33rd North Carolina State Troops was organized in Raleigh in September 1861 and saw its first action at New Bern, according to the New Bern Sun Journal. During the battle, the 33rd North Carolina suffered the greatest number of casualties of the six Confederate regiments engaged, with 32 men killed, 28 wounded and more than 100 taken prisoner, including its commander, Col. Clarke Avery.